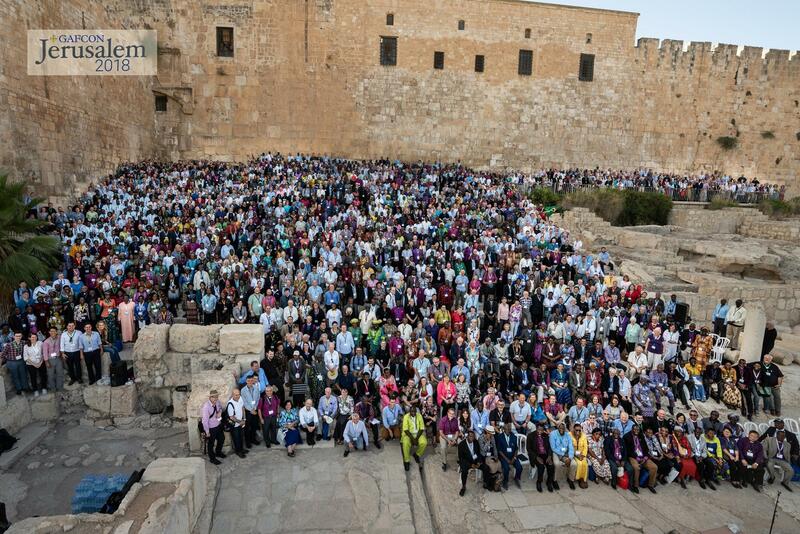 The above photograph was taken on the Temple Steps in Jerusalem, as the delegates at Gafcon III gathered together for a celebratory service and to have a photo taken ’10 Years On!’. You can read more about the significance of this global photo shoot here. This was the rallying cry repeated over and over again by the 1,950, or so, delegates at Gafcon 2018 and there is no doubt in my mind that it was more than a slogan. This was a declaration of intent. Gafcon is not a conference where people come to moan about the state of the church – instead it was a conference where those facing persecution and under pressure to conform, were reminded of the glorious truth of the gospel and inspired to return to their corner of the globe ready to share the greatest news of all with those they live among. It has certainly been a personal challenge to me as I have met with friends and neighbours – will I proclaim the gospel to them? Additionally, it caused me to think about us at the Windsor Fellowship Church, are we in maintenance mode or missional mode. A church in maintenance mode is easy, predictable, everything is the same. In contrast being in missional mode is hard, sacrificial, tiring. Are we willing to proclaim Christ faithfully to Windsor? If we are it’ll be hard, but it’ll also be glorious. Global Anglican Futures Conference: Gafcon lives up to its billing. Gafcon is Global: There were delegates from over 50 countries; from France to Fiji, Mexico to Myanmar. Some national delegations were made up of hundreds of bishops, clergy and laity, (click here to see the Ugandans in fine song on the plane to Jerusalem) other countries were represented by lone voices, but to hear the Lord’s Prayer spoken in over 100 languages simultaneously was to experience something of what it means for God to be calling people from every nation, tribe, people and language to praise his holy name. Gafcon is also developing truly global teams, networks and leadership, which overturn the sometimes neo-colonial expectations of the traditional Anglican structures. It was a joy to have preachers, presenters and seminar leaders from six continents sharing their wisdom with us. This is an Anglicanism which is based on a joint confession of biblical faith and a desire to support one another as we proclaim the true gospel to the nations. It stands in contrast to those seeking institutional unity based on archaic structures. 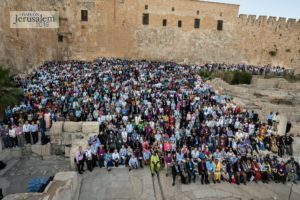 Gafcon is looking to the Future: Many commentators have remarked on the ‘maturity’ of Gafcon III and there is no doubt that this conference has moved forward in tone, content, organisation and ambition. In 2004, the Windsor Report warned that the proposed actions of The Episcopal Church would ‘tear the fabric of our Communion at the deepest level”. In the intervening years, faithful Anglicans have prayed, protested and pleaded in their attempts to persuade the traditional Instruments of Communion (The Archbishop of Canterbury, the Primates’ Meeting, the Lambeth Conference and the Anglican Consultative Council) to uphold discipline and restore order. Their efforts have been ignored and, emboldened by the lack of discipline, other provinces have followed the revisionist path, which in turn has increased the size and depth of the problem. Through the formation of a Panel of Advisors (made up of lay, clergy and episcopal representation of the Gafcon Provinces and Branches) to meet with the Gafcon Primates as a Synodical Council. Through the creation of nine global networks to expand Gafcon’s ability to proclaim Christ faithfully to the nations in both word and deed (see below). Archbishop Foley Beach will replace Archbishop Nicholas Okoh as the Chairman of the Primates’ Council at the next meeting of the Gafcon Primates in April 2019. Archbishop Ben Kwashi will take over from Archbishop Peter Jensen as General Secretary of Gafcon in December 2018. He will be assisted by regional representatives, including our very own Bishop Andy Lines, who will be responsible for Gafcon’s work in Europe. Through a final plea to the Archbishop of Canterbury to consider carefully who he invites to Lambeth 2020 and an agreement that, if the guest list includes those Provinces that have turned their back on historic Anglican doctrine and ignores those who are seeking to stand firm, Gafcon bishops are urged not to attend. Gafcon is truly a Conference: One of the most extraordinary things about Gafcon is that it is a proper conference – the delegates are able to confer with one another – and their voices are listened to. Those with responsibility for writing the conference ‘statement’ worked long into the night on Thursday, as they sought to consider every delegations’ response to the ‘Draft Statement’. What emerged was the “Letter to the Churches” – a letter that I hope will encourage and challenge us all and one that we will wish to share widely for discussion and prayer. Finally, one of the remarkable (and perhaps unique, in Anglican circles) elements of Gafcon III was the global participation enabled through social media and the live stream video output. 165,000 unique individuals tuned into the Livestream (and this doesn’t count the 5 million Nigerians who watched it on their local Anglican TV network), and more than 3/4 million individuals engaged with the official Gafcon Twitter, Facebook and Instagram feeds (#gafcon2018). These are extraordinary numbers, even more so when one realises they do not take into account those who viewed content after someone else shared it, or after the conference closed or heard about Gafcon through the thousands of unofficial tweets and posts by delegates! If all this makes you feel as if you might have missed out – do not fear – the official video, photos, news and blog is all there waiting to be watched, viewed, read and shared. So, if you are still reading after all that, what can we pray? Is the Church of England Disappearing? WINDSOR, UK. — 22 September 2015 — Headlines shout that the Church of England is fading; that it is no longer relevant. But throughout the land there are many efforts to revitalise the church with old church buildings being re-opened and communities being re-formed. 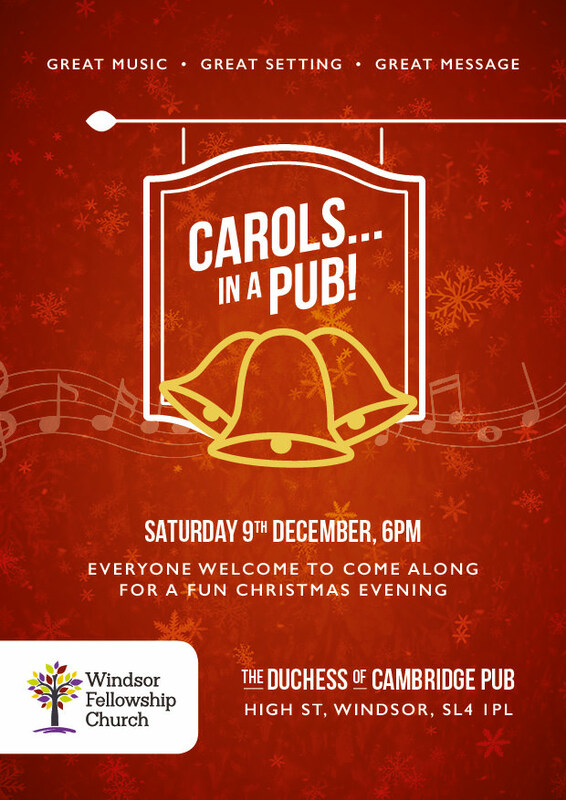 Here in Windsor there is just such a new expression of the church. 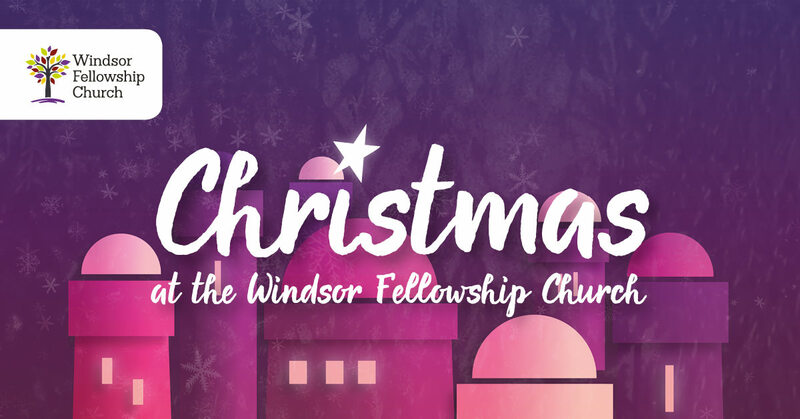 The Windsor Fellowship is a new initiative within the Church of England that gives people an opportunity to explore the Christian faith in an informal setting. Designed for those of all beliefs and none – and for those with intellectual objections and heartfelt concerns about the Christian worldview – Windsor Fellowship aims to bring meaningful discussion and answers to some of the many questions that people are asking. 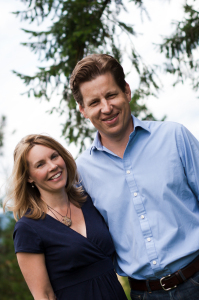 Long-term Windsor residents, Curt and Janice Hopkins, had a vision to create a community within the Church of England that would give people the space to rediscover their faith outside of a traditional church setting. The fellowship is officially launching at its new venue, the Windsor Youth and Community Centre (Alma Road, SL4 3HD) on Sunday, 4 October at 4 pm. 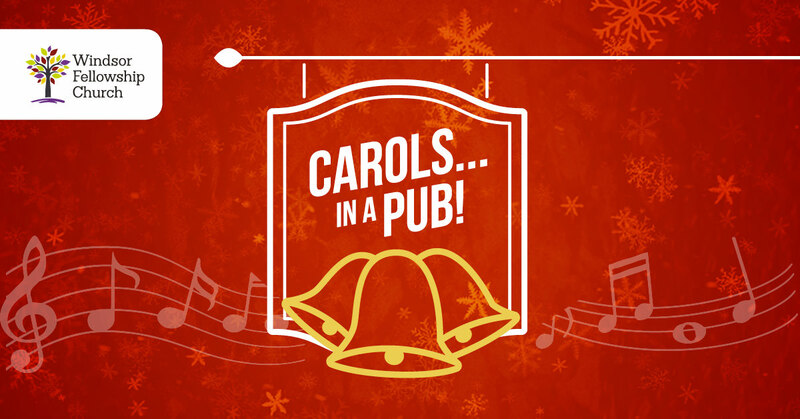 All are invited to come to the service and stay for a special tea and cake reception afterwards. The Windsor Fellowship, as part of the Church of England, is committed to studying the Bible and deepening our understanding of how biblical truth impacts modern life – work, play and relationships. 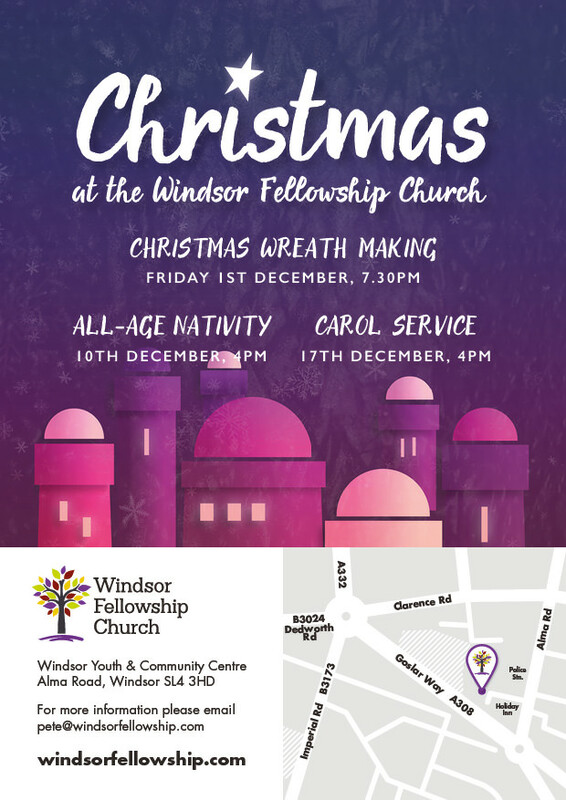 Windsor Fellowship is a part of the Church of England as a missional community of Latimer Minster in partnership with St Mary’s Maidenhead.